Both Clara and I love to read and have got back into reading in a big way this month. I set myself the challenge of reading 34 books in my 34th year and Clara has got slightly addicted to Audible since I signed up for an Audible free trial. After signing up I signed up for their daily deal emails which offer some fantastic books for a bargain price and have accumulated quite the library which we are both working through. 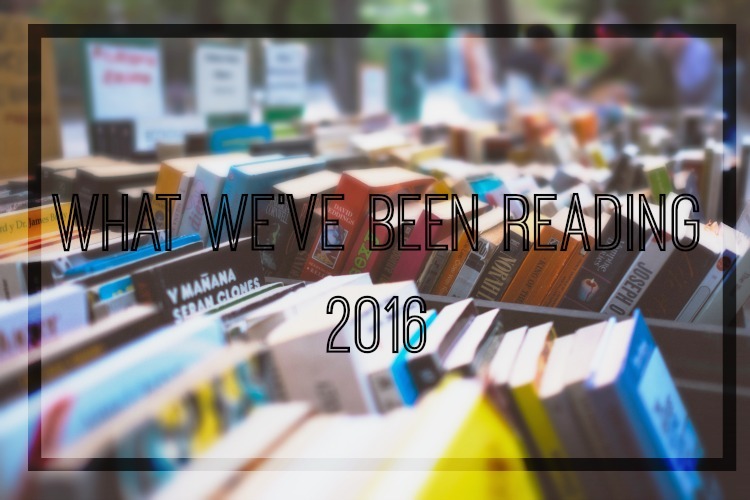 So what have we been reading in May? In a split second, Jenna Gray’s world descends into a nightmare. Her only hope of moving on is to walk away from everything she knows to start afresh. Both Clara and I listened to this book on Audible and were hooked from the first chapter. It’s a great book that keeps you on the edge of your seat right up until the final chapter. Clara finished the book about a week before me and kept urging me to listen more and more each day just so she could talk about it. I can’t wait to read Clare’s next book. The Foreign Land of the Very Wealthy – otherwise known as Manhattan’s Upper East Side – has its own rigid code of behaviour. This is a fab little story I picked up on an Audible daily deal. Clara started listening to it the moment she finished ‘I Let You Go’ and was finished in no time. She seemed to enjoy the first half better than the second but she encouraged me to get listening so I am now listening and quite liking it so far. I found this book for £2.99 in a cheap book store whilst on holiday. I had wanted to see the film for a while and always love to read the book beforehand. I got over half way through and decided to watch the film too and wish I hadn’t. The film is awful and missing lots from the book. I am yet to finish the book, but will as I actually quite like it and feel they could have made so much more of it. A blind French girl and a German boy paths collide in occupied France as both try to survive the devastation of World War II. M got me this for my birthday after I added it to my wish list after seeing it on so many blogger’s book lists. I love the short chapters and am really enjoying it. It’s the kind of book I can put down and pick up and not feel I have to go back over previous chapters to recap. I am hoping to finish it in the next few weeks and will make sure Clara reads it. Learn why some people make DREAM after DREAM come true, while others just continue to spend their lives building dreams for someone else. It’s not just another self-help motivation tool or methods you must learn in order to travel the path to success. The Slight Edge shows you how to create powerful results from the simple daily activities of your life, by using tools already within you. This is a book I have in both paperback and audio and have read once before. I find it’s not the best book I’ve ever read but I like how it makes me think and allows me to apply things I read, to my life. If you are into self help books but never feel they work for you, this is the book to help you out. Clara’s mum suggested she read this book after finishing ‘According to Yes’ and Clara is so glad she started it. It’s a great story and well narrated on Audible, which is always a bonus. I hope to read this at some point, though I am not entirely sure it is the genre for me, but I’ll give it a go. Both Clara and I agree that this is one of the funniest books we have ever listened to. This fab book is narrated by the very lovely author herself, which was great. It is certainly a book that makes you fall more and more in love with Jennifer Saunders. We’ve both got a long list of books to get reading over the coming months. Is there anything you suggest we add to our reading lists? What did you read last month?